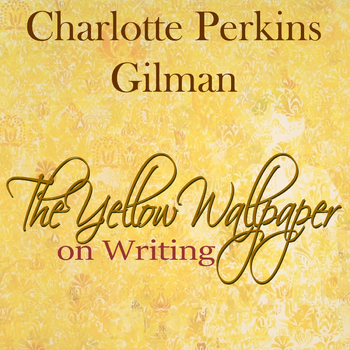 Here, I have formatted Gilman's response to why she wrote The Yellow Wallpaper in such a way to allow for annotating. There are deeper reading questions in the margins and three vocabulary words have been underlined for clarification. 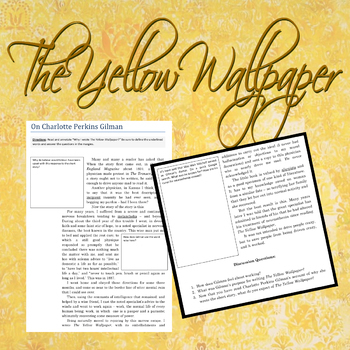 The goal of this resource is to be used as pre-reading for the realistic period of literature or an introduction to The Yellow Wallpaper. Questions ask students to dig deeper into the word choices of the article and truly uncover the authorial purpose. Print and Go for easy Sub plans or distribute for class discussion! Plus, this fully editable word document can be altered to meet your needs. To connect Gilman's point of view of the treatment of the mentally ill to the reality of the time, visit Making Connections where students are asked to delve into the Willard Suitcase Project.